Few things can prove as frustrating as encountering errors when you try printing a document at home or the office. The main reason is that most people these days only ever print something they really need, and when they do get around to it, they invariably expect things to go smoothly, which is not always the case. 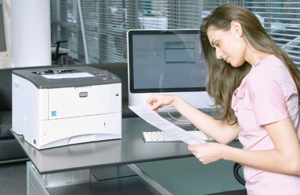 A printer offline error is not the only thing that can mess with you in this way; there is an even more annoying problem which lots of printer users have been seeing lately. This is an error message that read “Printer Needs User Intervention”. This message can show up either in the top panel display of the printer, or a dialog box in your PC. Most brands have this, with laser printers exhibiting it more commonly than inkjets. You could take it to mean a print job has been corrupted, that the spooler is inactive, or that maybe a vital driver is missing. Following are a few good fixes you can try if you ever come across this error. 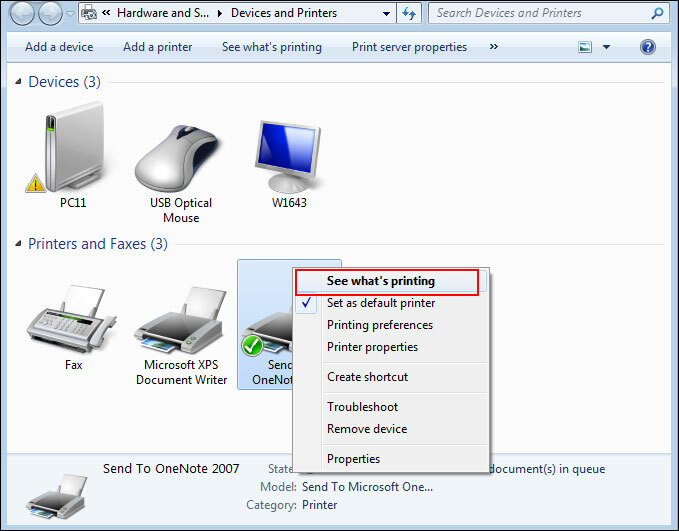 Choose the active printer shown here, and then click on See what’s printing. This will launch the window underneath. 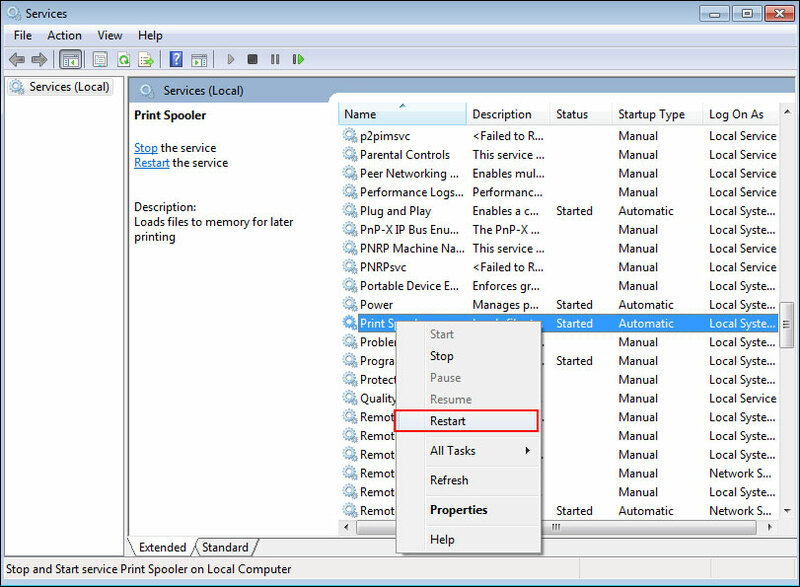 Right-click on the specific print job, which you plan to restart, and choose the Restart option out of the different entries in the context menu. This should delete the entirety of the print jobs, which may be all it takes to get the printer working properly again. Turn the printer off to clear the queue. The print spooler service needs to be stopped. Start by hitting the Windows + R key combo to bring up the Run command, typing in services.msc, and hitting Enter. Double-click on Print Spooler, and that should launch the relevant window. Hit the Stop button, and that will switch off the spooler. Click on File Explorer present on the taskbar, and type C:\Windows\System32\spool\PRINTERS into the navigation field. Choose all the files present in this folder, and delete them as one. Go back to the Print Spooler Properties window and hit Start, so that the service comes back on. This is often seen to be very effective as a fix for the user intervention error. 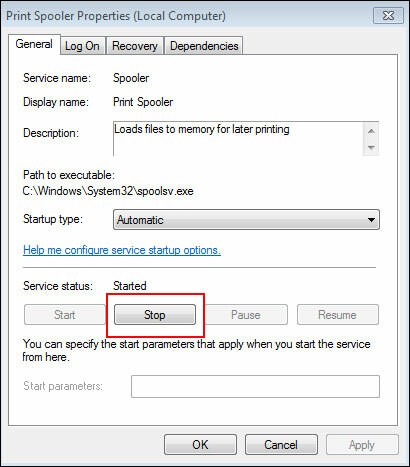 What you need to do is open up the Services window using the services.msc command in the Run dialog, right click on Print Spooler to bring up its context menu, and then hit the Restart option shown in the context menu. Windows 10 comes with a slew of tools, which can assist with repairing software and hardware problems, and more to the point, troubleshooting printer issues. One of them, the Printer Troubleshooter, is invaluable on many levels, and extremely handy in untangling printer functionality problems. 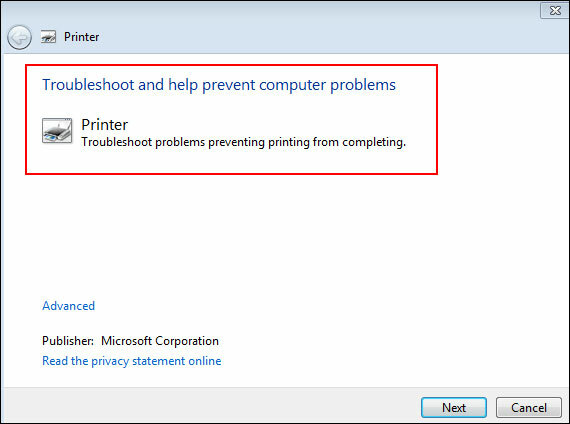 Following are the steps to run Printer Troubleshooter in Windows 10. Hit the Cortana button located on the taskbar, and in the field that comes up, type in printer and hit Enter. Choose the Find and fix printing problems option to launch the troubleshooter. It is best to run this with admin permissions, so instead of double-clicking, right click and choose Run as administrator. After that, click on Apply repairs automatically. Hit Next, and wait as the troubleshooter scans for issues. Any fixes it can perform will be applied automatically, so you just need to be patient. Drivers can serve up hassles when they are incompatible, or even outdated, making efficient hardware use a much harder thing to ensure. If you reinstall your printer’s driver, it should feasibly solve most errors, including the printer offline error and the “Printer Needs User Intervention” error. The main thing this does is make sure the printer all the latest manufacturer drivers installed. Fire up Cortana and type in Device Manager, then hit Enter. 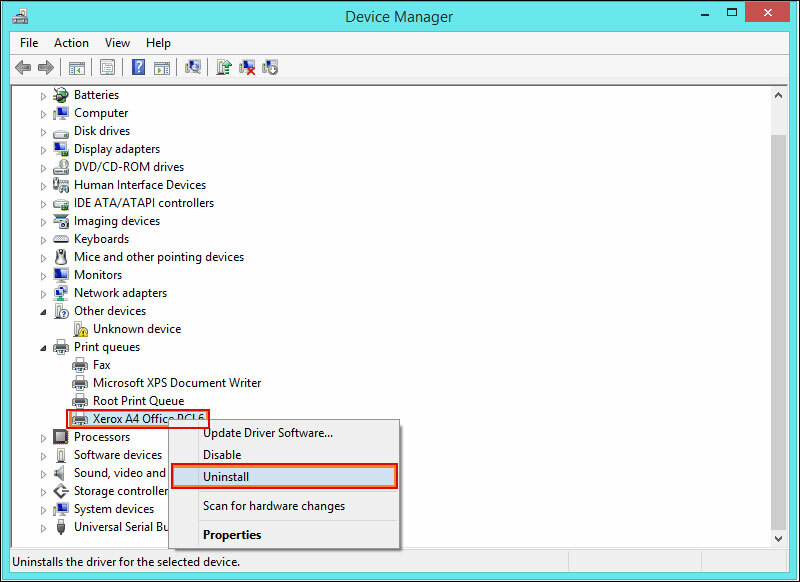 Choose Device Manager and wait for its window to appear. Hit Printers, and then right-click on the printer you are using. Choose Uninstall from the context menu, and then hit OK to confirm the change you are about to make. The next time you log in, Windows would automatically install the newest printer driver. 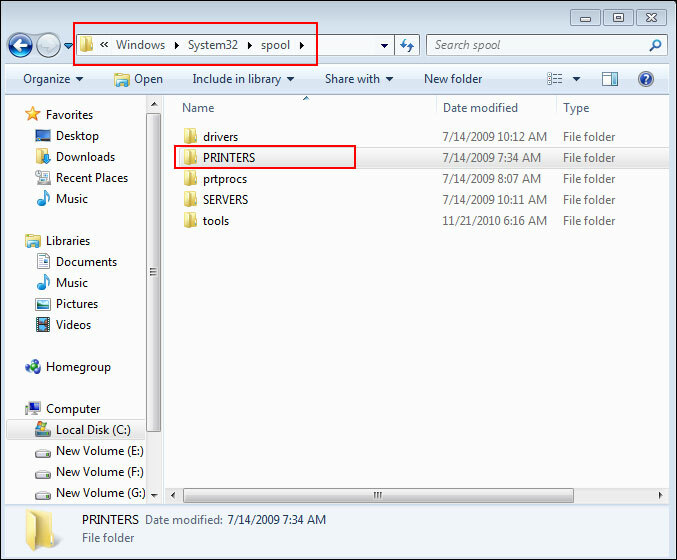 However, if that does not happen, you need to manually locate and download the latest version of the printer model’s driver, and install it in your PC. Make sure to go with only the correct driver, and then follow the instructions shown on the installation wizard screen. Get in touch with our tech support experts for any further help with the “Printer Needs User Intervention” error.